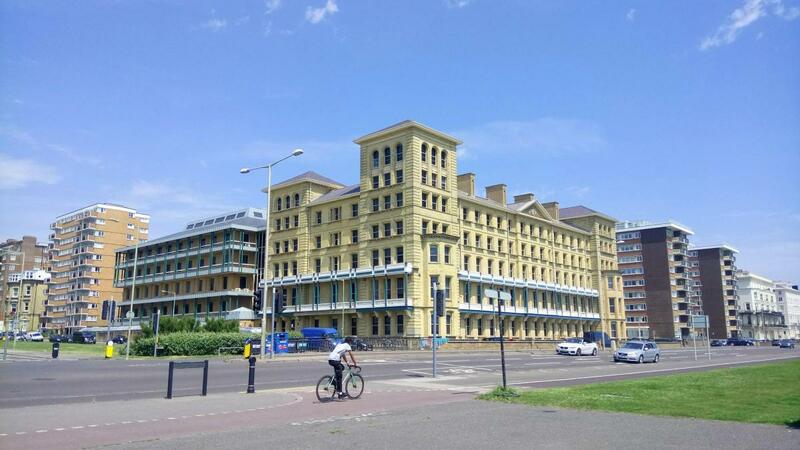 I wrote a recent article entitled Building Bridges – Developer Dialogues – which described two instances where we had had positive dialogues with developers about new buildings for Hove seafront. 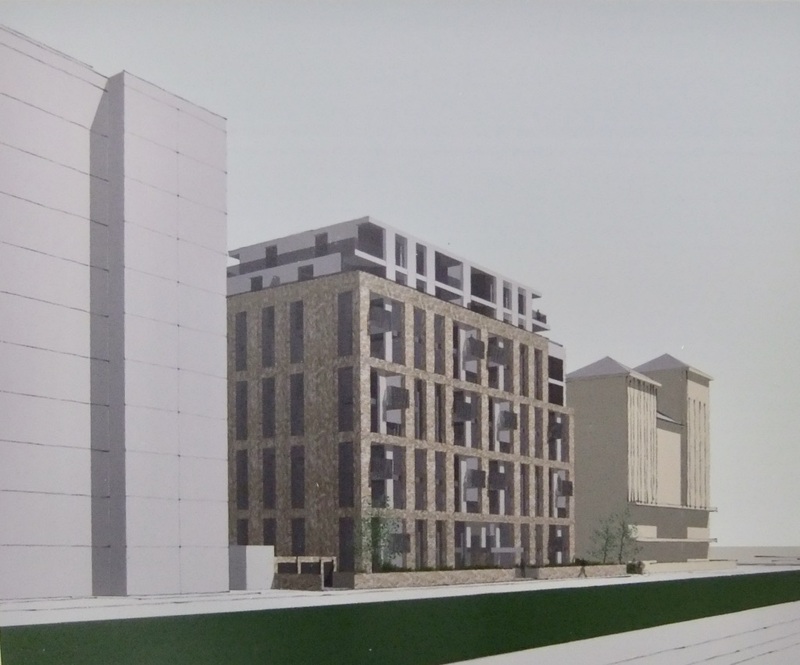 Continuing this series of welcome dialogues with developers about their proposals, I have had discussions on a third development on Hove seafront – and probably the most important and prominent of the three – with Mortar Nova Grand Avenue about their redevelopment proposals for the King’s House site. This is a continuing dialogue – since this article was written, I have had further discussions with Mortar Nova about the original article posted on 25 February, following which we have made a few amendments following clarification of some of the issues I raised originally. These amendments are shown in blue text. We understand that Terra Nova are keen to continue the dialogue about their proposals and we very much welcome that. In the past few weeks I have attended four meetings with them, together with their architects Crowther Associates, and (for three of them), with their Heritage consultant Charles Wagner. 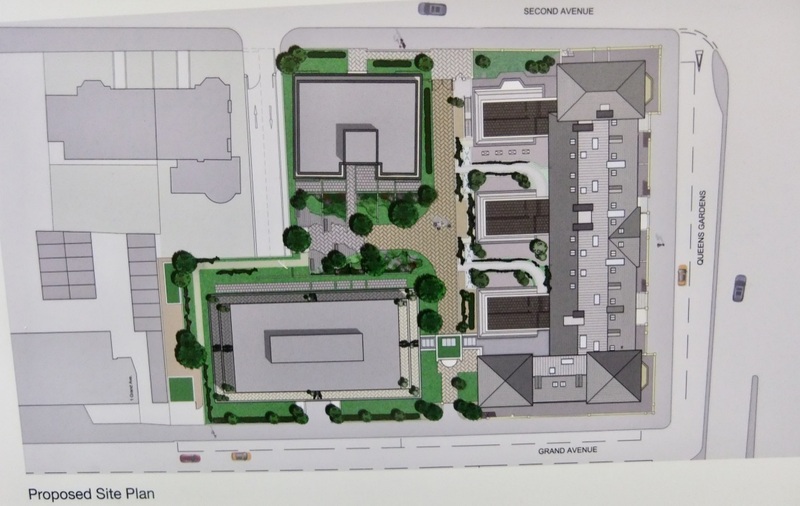 It is proposed to convert and refurbish King’s House and build two new buildings behind it to provide 169 new flats, of which 29 will be in King’s House, 72 in the Grand Avenue building and 28 in the Second Avenue building. The first meeting was at a tour of King’s House towards the end of January, to which members of the Conservation Advisory Group (CAG) had been invited, together with a short presentation of Mortar Nova’s initial proposals. These showed a number of options for the refurbishment of King’s House to convert it into flats, and restore some of the lost character to the exterior of the building. It also included proposals for two new buildings. The first, and largest of these is to be located on Grand Avenue behind King’s House to replace the existing 1981 office building. The second is in Second Avenue on the site of the King’s House car park – which itself was created in 1981 after conversion of King’s House into the SE Electricity offices, and the demolition of the southernmost of the original Victorian or Edwardian villas on the west side of Second Avenue. View of the new building on Second Avenue. This is an important view as you proceed westwards along the seafront and look up Second Avenue towards the row of the original villas. It would have been useful to have seen a view of this building in relation to the villas further up the street. 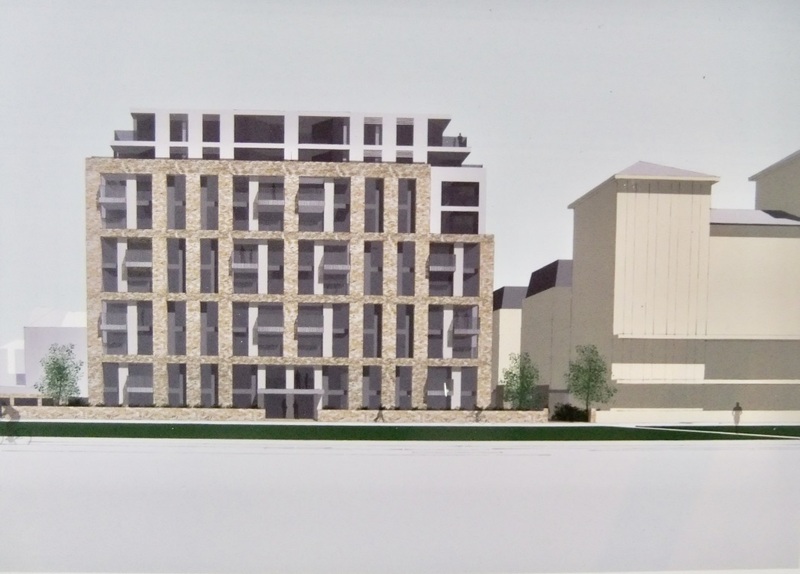 We thought – subject to more detailed information coming forward – that the conversion proposals for King’s House were moving in the right direction. But reactions to the proposals for the two new buildings behind were far less positive. Also at this meeting we learned that very little information about the 1981 conversion into offices had survived. Coincidentally I was able to introduce them to the former project manager for Longleys, the contractor who had carried out the conversion of King’s House into the SE Electricity offices. Hence the second meeting, which besides being an unexpected bonus resulting from the consultation process, I think proved genuinely useful to the design team to fill in some of the gaps in their understanding of the existing building. The third occasion was a formal presentation to CAG which took place at its meeting on Feb 6th. We were shown a number of options which had been considered for the two new buildings. There was considerable criticism from some members about the final choice of design of these, as some of the earlier options had picked up references from the existing King’s House which although not yet entirely satisfactory, we felt resulted in a better relationship to King’s House and the rest of the Conservation Area. However we were told that Design South-East and the Council Heritage team had preferred to see a contemporary design – which has resulted in a solution which some members felt was ‘underwhelming” in terms of appearance, and ‘overwhelming’ in terms of its scale, height and uncompromisingly boxy, modern character in relation to King’s House, particularly when viewed from the northern end of Grand Avenue. It could be so much better. Should the new buildings relate more closely to the Conservation Area and King’s House – or to the 1960s buildings in Grand Avenue? 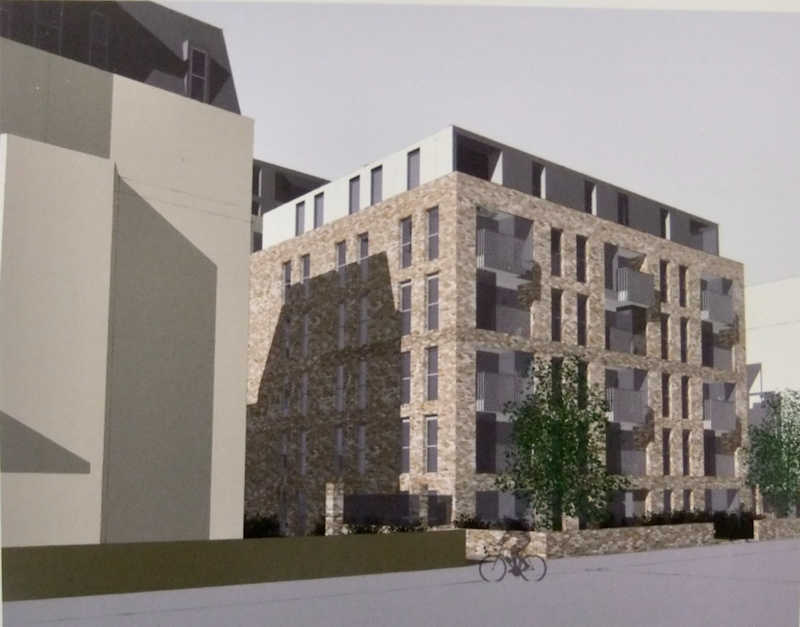 Given that the King’s House site occupies a prominent position on the Hove seafront, is in a central position in the The Avenues Conservation Area, and last but not least, is bang next door to the listed King’s House, we think that a design approach to the new buildings which picked up contextual references from King’s House itself as well as the large villas in Second Avenue, rather than the1960s buildings – most of which are anyway located on the west side of Grand Avenue – would have been a much more appropriate way to proceed, and if done well and sensitively, would have resulted in a much more sympathetic solution within the Conservation Area. It is Council policy that new developments within Conservation Areas should enhance the CA. Does this proposal do that? We think not. And to be clear, we are NOT talking about pastiche. It is entirely possible to design a modern building which responds to the scale, the proportion, the architectural character, the rhythm, the attention to detail and the essential character of the Conservation Area – and most importantly to the adjacent listed King’s House. 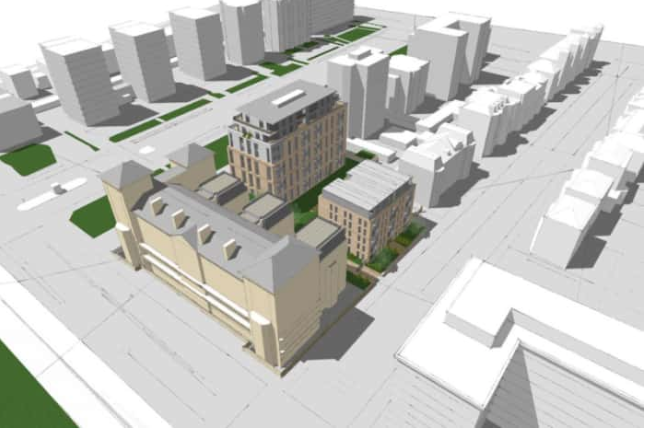 The current proposals for these two new buildings emphatically do none of these things. The designs are not good enough in this sensitive and important situation. The fourth meeting was held following the concerns expressed at the presentation to CAG to see whether some of these issues could be resolved. Unfortunately it seems that efforts are now primarily being directed at getting the planning application documentation completed in time for submission of the application in early March. As far as consultation is concerned, we can’t complain there was too little in terms of the number of meetings. But we can complain it was far too late. Mortar Nova say that they had intended to present their proposals to CAG on December 12 last year, but for reasons outside their control this was postponed to CAG’s meeting on February 6th. Groups such as CAG have considerable expertise. When it comes to issues of conservation and design, and knowledge of local history and background, it is much better placed to comment than remotely based organisations such as Design South-East. CAG’s views on important developments which affect the historic environment such as the proposals for King’s House, should be sought at the same time as that from other sources of design expertise. In this case it happened far too late in the process. What is the point of consultation if there is no time to make significant adjustments before the designs are completed?